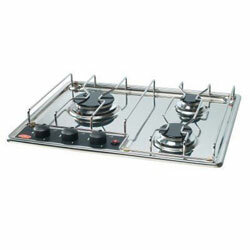 The Eno 4330 gas stove top is both stylish and functional. It has stainless steel construction to provide longevity. Dimensions: 3.15" x 18.3" x 15.15"